2 guided meditations recorded over Trypnaural B.E sessions that are designed to help you awaken your own natural inner resources of self-healing. These guided meditations are designed to help you awaken your own natural inner resources of self-healing. As you listen, you will engage the profound healing powers of your breath and imagination, bringing together mind and body for a safe, gentle, and effective healing experience. Because this meditation is designed to create a state of deep relaxation, you should not listen to it while driving. Choose a quiet time and place for this experience, where you can settle your body into a comfortable position, either sitting or lying down. What Is Guided Imagery Meditation? Today’s children are facing sensory overload. From an early age, entertainment and information have just been a click away—TV, movies, video games, Internet, cellphones, e-books and other technological gadgetry. Though technology has become a leisure activity, it overstimulates our senses, reduces our personal contact and decreases the amount of exercise we engage in—anything but relaxing. In this modern age we are facing serious sensory overload. From an early age things like entertainment and information are a simple click away. Information positive and negative in the form of T.V, movies, games, the internet, mobiles and all sorts of other wonderful technology has the potential to overstimulate our senses. It can make us less intimate with people close to us and even decrease the amount of physical activity we do. Being so tuned into external stimuli often tunes us out and moves us away from connecting to ourselves and to each other. We are always striving for a more balanced life. Juggling chores and several jobs at the same time is more and more common place. The world has become a more demanding and complex place. On top of this we are continuously exposed to negative news stories, images in magazines that are designed to make us feel insecure. That dreaded stress is just round the corner waiting to creep its way into your daily life. It is no wonder that 1/3 of Americans are on some form of medication, including children. All this distraction and noise can lead you to lose your ability to identify with feelings of stress and anxiety. You may find it difficult to connect your stomach aches, headaches, restlessness or irratibility as symptoms of stress and anxiety. Since feelings can become confusing and overwhelming becoming more mindful of your feelings will help you to navigate through difficult times. Mindfulness techniques can help you to develop self-awareness and mastery over your feelings. A natural and scientifically proven method to introduce this is through guided imagery. Guided imagery is a meditative process that uses visualization and imagination to bring awareness to the mind-body connection. In a relaxed state of mind you can more easily access the power of this healing process because you become naturally more imaginative. 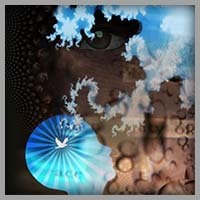 When used with special trance music that get you into deep relaxed states this power is magnified. Your conscious mind becomes less attentive to outside distraction and you awareness rises. When this music is laced with a special script of a vivid story you can more easily learn skills that help you to deal with stress, pain or difficult feelings. You tune out of the negative and focus more on the positive. Guided imagery can help with specific issues like sleep problems and anxiety. It can also increase creativity and boost your immune system. You can create new neural pathways and even reinforce positive behaviours using guided imagery. Our brains can’t distinguish between real events and imagined ones. Just this feeling alone will release stress hormones in your body. If however you focus on a uplifting experience or love for someone close to you, this will increase the levels of endorphins and serotonin. In turn this will make you more relaxed and positive. Using guided imagery you can encourage your mind to imagine positive healing experiences. This can lead to healthier coping habits and new more empowering behaviours. By focusing your intention on reaching your goals and creating a desired image of your life and yourself, you can rewire your brain to create new pathways that reinforce this behaviour. This simple technique has been used for many years by trainers and success coaches to build self confidence and improve peak performance. Guided imagery is best performed using a special script read in a calming hypnotic tone. The power of guided imagery is magnified when combined with special trance music that is a well crafted soundtrack to the transformational journey. It can also help you to tune out of the external noise and help you to focus on the journey ahead. Using the same music each time can help create a sensory reminder for the body to relax. Deep breathing exercises can help you to deeply relax before you embark on your journey to bliss. These special breathing techniques are usually found within well crafted guided imagery scripts. As you begin to use guided imagery you are creating a safe and special place for you to go. Your special journey to wonderful, peaceful places are for you to visit anytime you need to. This has been created by Trypnaural Meditation founder and meditation expert Niraj Naik. Niraj, an ex-pharmacist, now turned author and meditation coach, personally used guided imagery techniques when he recovered from a chronic stress related illness holistically without medication. Just find a quiet comfortable place to relax, preferably just before you go to sleep. Then slip on a pair of headphones, plugin your mp3 player or computer, sit back, relax and drift in to a heavenly journey. Guided imagery is best practiced at least 3 times a week over a few months for maximum effects. The Most Cutting Edge Brainwave Entrainment Music & Meditations Perfect For Therapists, Sound Healers & Anyone Who Wants To Go Deeper With Meditation In A Faster Time. Side Effect Free - meditation is proven to help with depression, ADHD, high blood pressure without side effects. Haritha, Pyramid Valley I meditated with your serotonin sunrise meditation music and chanted my mantra to it. This experience was too profound. It was so overwhelming that I don't know what sadness or longing memory got triggered in my subconscious mind that made me cry. I have no words to explain. It was such an emotional release and I felt so connected to the universal consciousness. Thanks so much for such music. John, USA I would like to give you a big digital hug of gratitude for your unbelievable brainwave entrainment music. I have used nearly every program I could find starting almost 5 years ago ranging from Hemi-sync, Holo-sync, BMV, Yogic Sound, and several others, but none of them compare to the sheer brilliance and efficacy of your work. Aura reading while Trypnaural is played. See the difference at the top of the pyramid…more of golden color in the second pic (Higher energies). Also much more green that denotes healing. The pattern of the colors changed completely. These pictures were taken at the same place and in same external conditions and light. We used an advanced aura processing software called “Biofield Reader” to show the changes in the aura of the place before and during the performance. How Can You Control Your Brainwave State? For many thousands of years spiritual sages, rishis, yogis, shamans, monks, whatever you would like to call them, have been perfecting the process of meditation to induce deep meditative states. They would have to spend many hours a day of quieting the mind and controlling their brainwave states. This is just not practical for most people to do in their hectic modern lifestyles. Fortunately with the advances of modern technology you can, using specially designed audio technology, train your minds to achieve whatever states you want just after a few short sessions. The old method of doing this was using specially embedded binaural beats. When you play two separate frequencies in each ear, say 140 Hz and 149 Hz, the difference in frequency is 9 hz. Your brain compensates for this difference and a third tone of 9 Hz is experienced. This will result in your brain being raised or lowered and tuned into the desired frequency. This is how binaural beats are produced. Headphones are essential for this to work. This is the least effective of all brainwave technologies. Trypnaural meditations use the most effective and current of all brainwave entrainment technologies available today called "Isochronic Tones"
How Do Isochronic Tones Work? These are by far the most powerful and effective brain trainers. They work by utilising equal intensity tones and increasing the pulse speed to synchronise your brain with the rhythm. The more distinct and clear wave from harmonises your brain much faster. The effects can be felt without headphones, but using them will greatly enhance the effects. This actually mimics the same methods used by the ancient tribesman who would beat their drums to a special rhythm. Trynaural Meditations are specially designed to produce exactly the right frequencies in your brain to produce the desired benefits. The combination of isochronic tones with specially designed sounds and music is what creates the full effect of state change and stress reduction. During my own personal research I discovered a strange relationship between music, brainwaves and the harmonic pulse of our planet known as the Schumann Resonance. I discovered that music played with a hypnotic arpeggiated groove at 120bpm and 60bpm would sync perfectly with alpha and theta brainwaves and the Earth's magnetic pulse. This is what led to the development of my brand new style of brainwave entrainment that is more musical and works much faster than anything else online. Trypnaural B.E uses the most advanced and modern form of brainwave entrainment called isochronic tones fused with professional meditation music produced by amAya. Trypnaural Ultra uses a novel form of brainwave entrainment that syncs to alpha and theta brainwaves for fast trance induction - harmonizing your brainwaves for whole brain function. The expertly crafted Trypnaural sessions are designed to not only help you have the deepest sleep you have ever experienced, but using the special 'Scientific Prayers' you can literally rewire your subconscious mind to boost your immune system and tune your mind for peak mental performance when you wake up the very next day. How Do I Get The Most Benefit From Trypnaural Meditations? To gain the full benefit of Trypnaural products it is recommend that you listen to it through stereo head phones (headphones not essential), making sure that you are lying or sitting comfortably in a safe environment. The best time to use these sessions are at night before you want to go to sleep. Are There Any Side Effects Of Trypnaural? There are no known side effects. If you are on medication or have any health concerns please speak to your doctor first. The relaxing music, sounds, meditations and brainwave entrainment sessions is royalty free music, great for CD audio backgrounds, video music production, websites, music on hold, background music in spas, retail hotels, restaurants. You do not need to have a performance license to play this music, so this is perfect for yoga teachers and others who do not want to spend an extortionate amount on license fees. However this does not apply to those who are wishing to use this music for commercial purposes such as advertising and reselling of the original material. Please contact me if you wish to use this music for those purposes. You do however have 100% resell rights to sell the customized meditations that you produce with the material provided. Johnny, USA Army Being in the Army I have endured the hardest stress of my life. I always knew deep within me that I was different. I saw this in everyone else around me. I knew I had to unlock the power within me first before I could help everyone around me. Even just last night I fell asleep listening to Trypnaural meditations and was forced to awaken feeling different parts of my brain opening, and parts I have never felt before! So I know I am on the right path and have found the right place to go to! So thanks Trypnaural! Vikaas, India For the 1st time I heard their live music performance at The 6th GCSS (Global Congress of Spiritual Scientists) I was was not aware of what is going to be played. While meditating into this trance I don't know what happened to me & I was feeling wow, It was really different from all others I have heard before. It was totally an experience which cannot be explained in words. I would recommend Trypnaural to all who those want to go more deep onto meditation. Thank you amAya for making such incredible music. Dr Millett, ElevatedTherapy.com I have over 15 years of experience as a therapist and Trypnaural is my first choice for getting incredibly deep and therapeutic trance states with my clients. That Will Soothe Stress, Boost Your Brain Power, Help You Meditate & Sleep Deeper Than Ever Before. Enter Your Email To Receive Your FREE Samples + learn the manifesting, breathwork and meditation secrets from the original source – Ancient India. Trypnaural meditation is a breakthrough meditation music technology designed to stimulate your natural production of serotonin, melatonin and dopamine so you can benefit from deeper sleep, improved mood, increased mind power, better health, creativity and intuition.